Noel is a Partner within the firm’s Audit and Assurance division. Noel is an experienced audit practitioner with a variety of clients and specialises in educational institutions, not for profits, manufacturing entities, retail entities, Aboriginal corporations, wineries, service and support entities and superannuation funds. He has also worked on litigation engagements involving audit-related matters and been a member of various audit committees and boards for corporate and not-for-profit entities. As an ASIC Registered Company Auditor, Noel has extensive experience in the audit of large reporting corporations, non-reporting corporations and Not-for-Profit clients. Noel approaches each engagement with an attitude to having a complete understanding of the organisation; its operations, business structure, systems, transaction flows and risks. From this Noel together with his team, develops an audit plan and approach which is tailored to the organisation and their risks. Noel’s audit engagements and clients benefit from his significant experience across a number of industries, operations and systems. 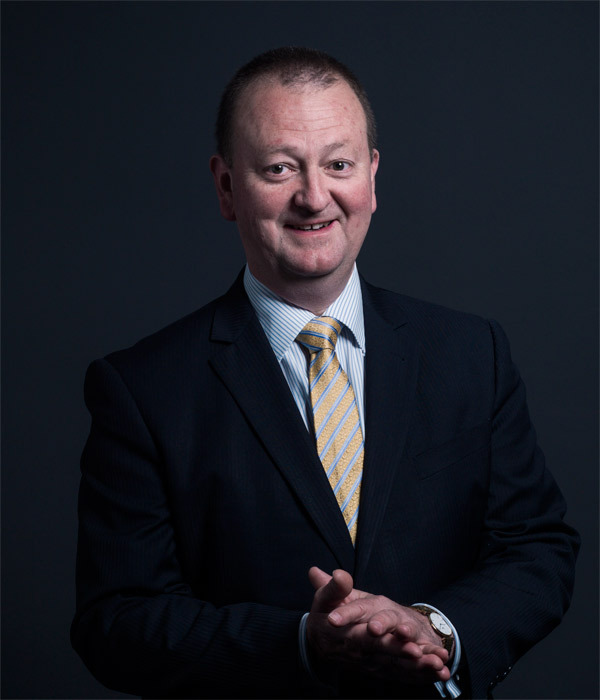 His technical skills and understanding of risk, corporate governance and operational requirements from sitting on boards and committees on not for profits, have been of invaluable experience and have enabled Noel to provide clients with practical solutions to problems they have faced. A high level of technical knowledge of financial statements and firm understanding of risk within organisations make Noel a valued member of any board. He is currently Director and Treasurer of CanDo4Kids – Townsend House Inc and CanDo Internet Inc and The Royal South Australian Deaf Society. He also chairs the Audit and Finance Committees for these boards. In addition Noel also acts as company secretary for a number of companies and has an understanding of their corporate governance responsibilities. Noel has been involved in the audit of Colleges and Schools throughout his career and has an extensive client portfolio of Colleges and Schools which operate in South Australia, Western Australia and Northern Territory. He was appointed Chair of the Nexia Australia Specialist Education Industry Group. His expertise within this industry is of note and allows Noel’s clients within this space to work with a Partner who truly understands the challenges facing schools and how to address them. Noel organises training days for his clients within the not-for-profit and education industry. In planning for these days Noel ensures that relevant technical accounting updates are provided to clients in a practical manner and appropriate speakers are engaged to discuss pertinent topical issues. Noel holds a Bachelor of Commerce from the University of Newcastle, New South Wales and Master of Economics from Macquarie University, New South Wales. Noel is an ASIC Registered Company Auditor, approved self-managed superannuation fund auditor and Fellow of Chartered Accountants Australia and New Zealand. Contemporary assurance services require an understanding of and a strong technical knowledge of auditing and accounting standards and required reporting compliance framework. It requires an ability to develop an understanding of the business operations and its financial risk, and to work to communicate with people and clients. Noel’s approach is to use his experience and expertise to ensure excellent outcomes for clients. Engaged by an Association to conduct a due diligence examination on the reliability of the financial data of targeted acquisitions. This assignment drew on Noel’s audit and accounting technical expertise. Noel assisted in the examination of the entities reported assets and liabilities and conducted an interrogation of the underlying financial records and data to assist in this process. From this significant issues were identified, solutions suggested and financial statements reconstructed and a group consolidated financial statement prepared which allowed the client to make an informed decision in regards to the acquisition. Consults regularly to a large international manufacturing and retail group for providing technical accounting advice, reporting compliance and systems and processes evaluation. Noel assists this group in ensuring it meets its financial reporting compliance obligations. In addition he provides technical accounting advice and assists in the review and evaluation of its key financial reporting systems and processes. Recently he was engaged to evaluate for all retail sites inventory and merchandising receipting and their processes and systems. As a result of this review procedural and system strengths and weaknesses were identified with recommendations for improvements suggested. These were then incorporated into a new retail inventory system rolled out by the group. Performed a due diligence examination on the potential acquisition of an education entity for a group of internationally owned educational specialist companies, which Noel acts a as a Company Secretary for. As part of the due diligence Noel assisted in the identification of potential risks and opportunities and critically evaluated available financial data and forecast which meant the group was able to make an informed bid for the acquisition.